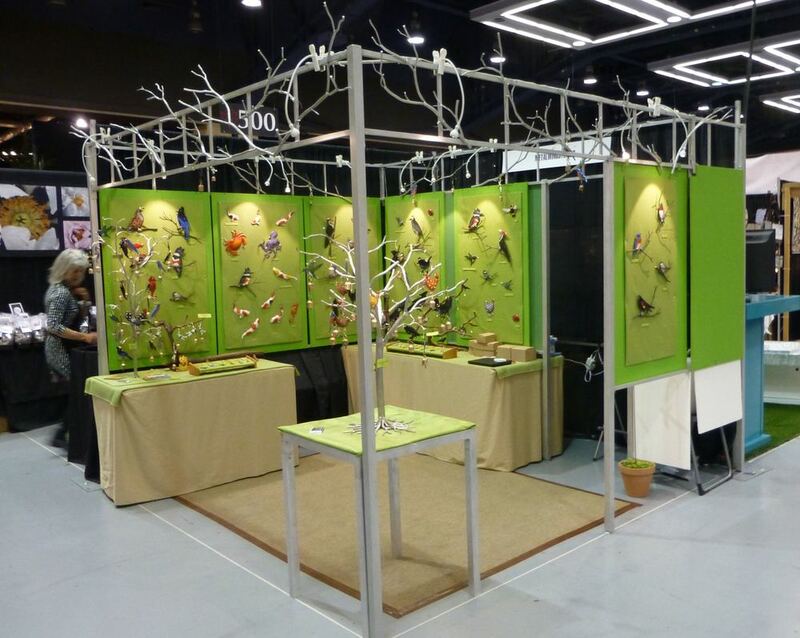 Here is a photo of my booth at the Northwest Flower & Garden Show which took place February 17th-21st. What a wonderful show! I'm relaxing a bit now, but will soon be back into production at the studio. The birds are chirping in the sunshine and giving me new inspiration! Greetings from my new site! Just finished my last Edmonds Farmers Market for the season! Gearing up for the holidays - there will be plenty of new things coming into fruition soon. Lots of ornaments, new birds, and more - stay tuned!